A Callahan And A Cash--Forever? Sawyer Cash pregnant? With twins? The fiery-haired bodyguard who had secretly shared Jace Callahan's bed just rocked his world. The only solution is a quickie Vegas wedding. Then it's back to Rancho Diablo, where Jace can keep an eagle eye on his bride and babies-to-be while waging war against the Callahan nemesis hell-bent on stealing his land. Jace knows Sawyer thinks she's only brought him trouble. 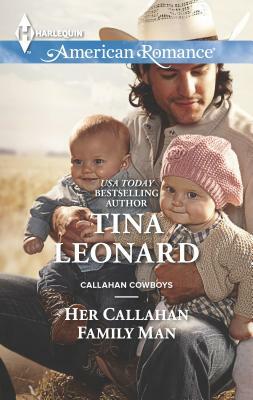 She wanted to catch a Callahan and now she and their baby boy and girl are right in the line of fire. But doesn't Sawyer know she's the only woman for him, even if her family might be in the enemy camp? With things reaching a boiling point, Jace vows to fight for his family's future as only a Callahan can.